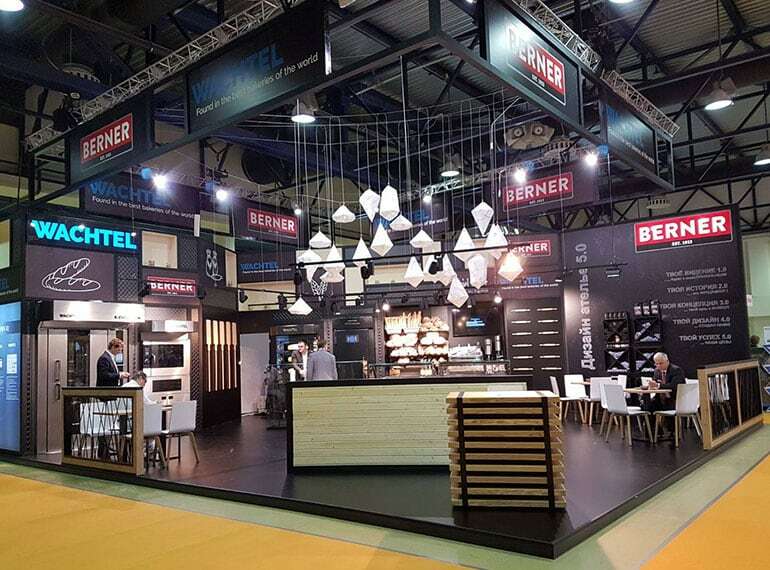 The Modern Bakery in Moscow is the only trade fair in Russia and the CIS that covers all sectors of the bakery and confectionary industry. At the trade fair, visitors can discover Russia’s entire bakery and confectionary industry, from small and independent operations up to large industrial bakeries, producers, technologists, service providers, retailers and wholesalers. Again, BERNER will be represented at the fair. Visit us from 12 to 15 MARCH 2019 at our STAND B60 IN PAVILLION 7.3 and let us inspire you with our new trends. Please get in touch. We would love to advise you. Shop fitting at its best.